In my humble opinion, a morning spent with the Minions is a morning well spent. 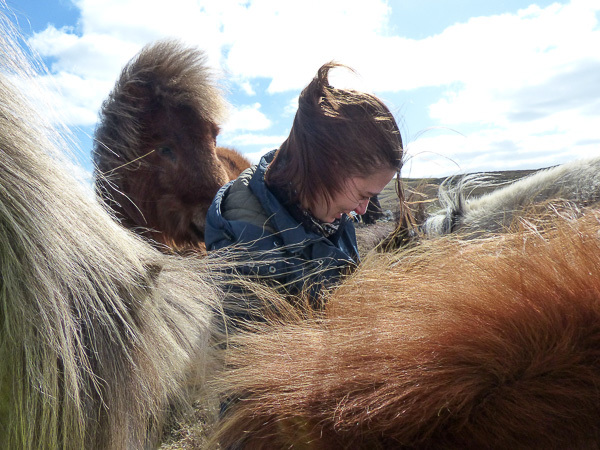 Floss and I had taken two brushes with us and we attacked all the Shetland ponies’ manes and tails (plus any bits that needed attention) with the vigour of a Spring clean. 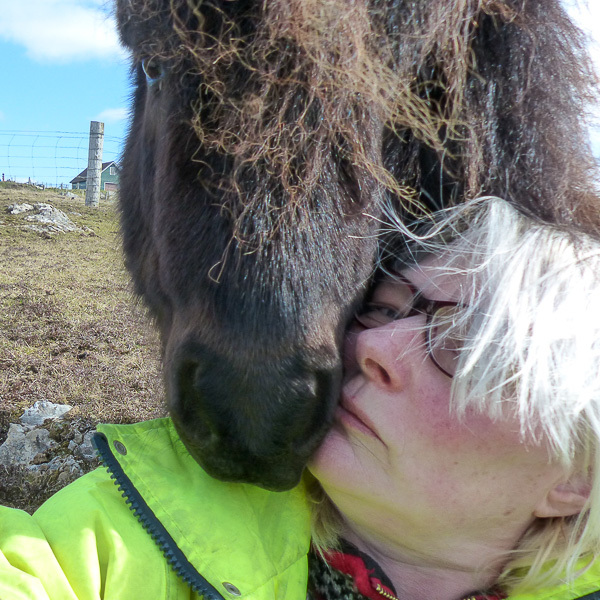 I think Storm suffers from the same affliction as me – no matter how much I brush, I always look like I’ve been dragged through a hedge backwards. Storm is not dissimilar. It must be in our genes. It was lovely sitting down on the (slightly wet) ground. A fact I only found out when I eventually stood up and found I had a damp bottom. I have missed sitting with my boys. The ground drying up is proof summer is finally on its way. 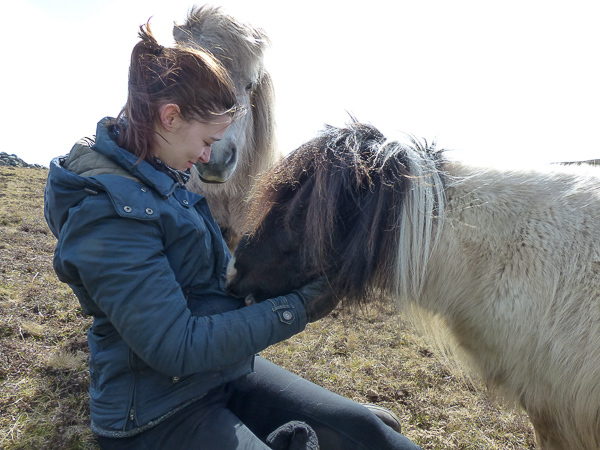 Mostly the ponies were with Flossie. 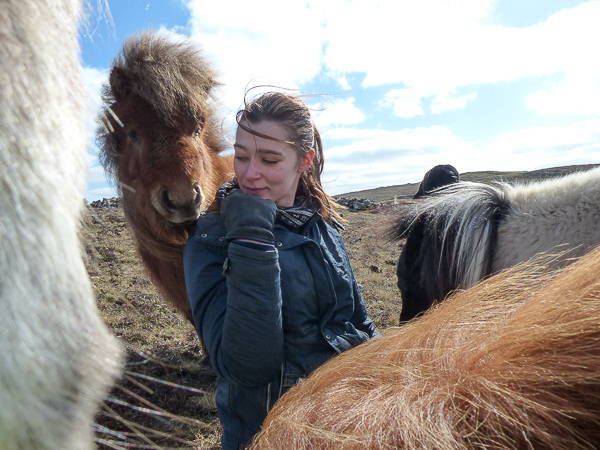 Her coat is a magnet, an activity centre for curious wicked Shetland ponies. 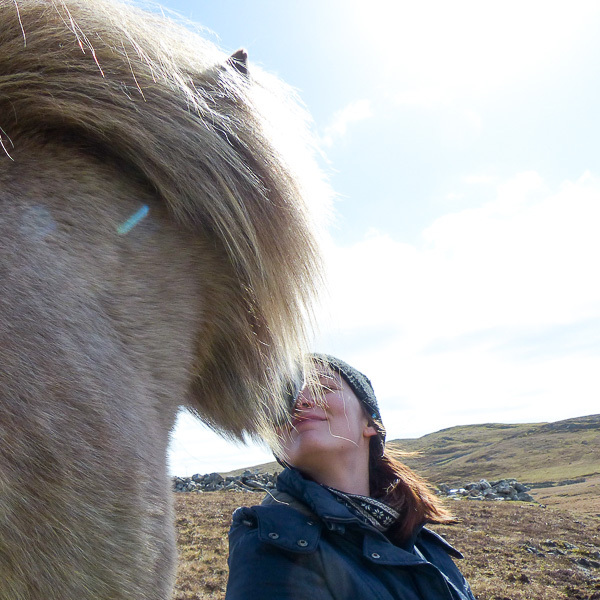 There is something about it that is magical to them. They surround her and then try to bite the buttons off, travel the zips up and down and generally annoy. And look, Newt and Floss have the same hair. Another family resemblance there! 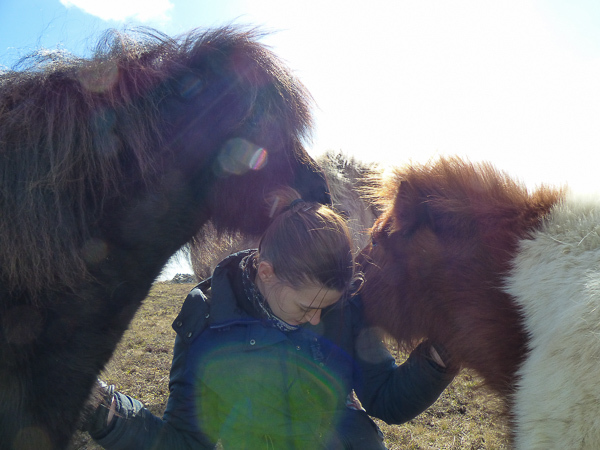 From the photos, you can sort of see the ponies look slightly brushed. So, that’s good then. We are getting the herd ready to meet the public. I guess I should brush my hair as well! 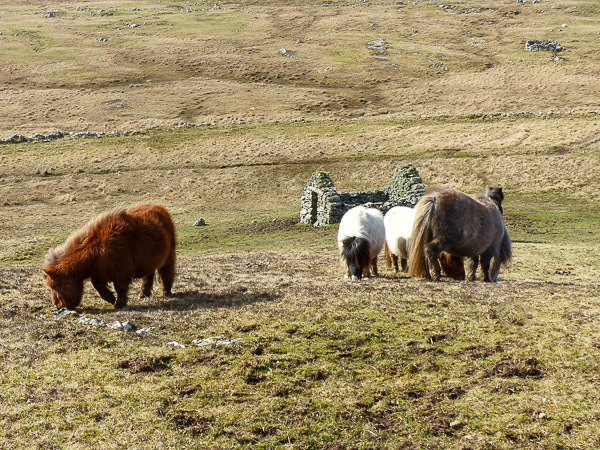 This entry was posted in MyShetland on April 9, 2019 by Frances. 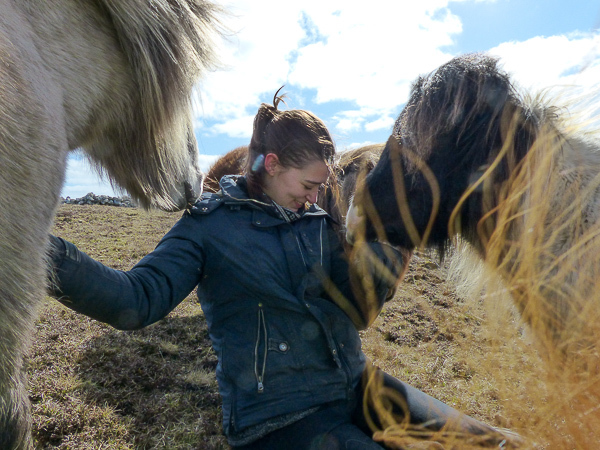 Given your pictures, sitting with Minions is just what the doctor ordered. Thanks!